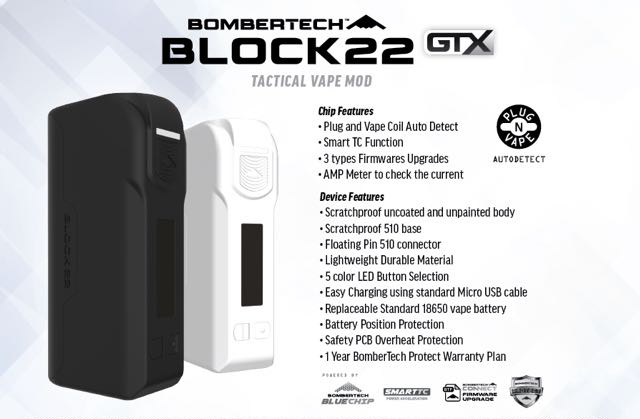 Introducing the Block 22 mod from BomberTech. Designed to be user friendly and simple. This mod is extremely small, rugged, and handsome. Very small, very light. Feels almost cheap or toy like. But it is a quality product, works extremely well, but kinda hard on battery life. 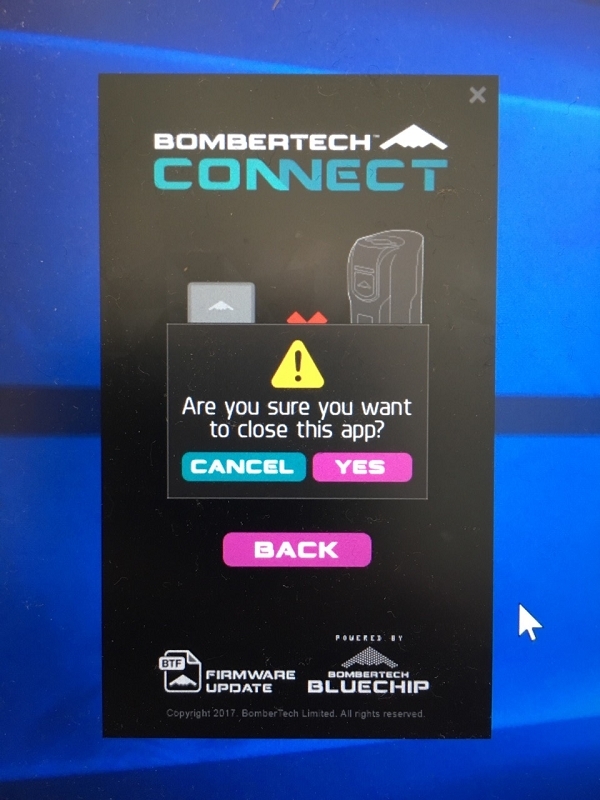 Extremely simple for a full featured device. 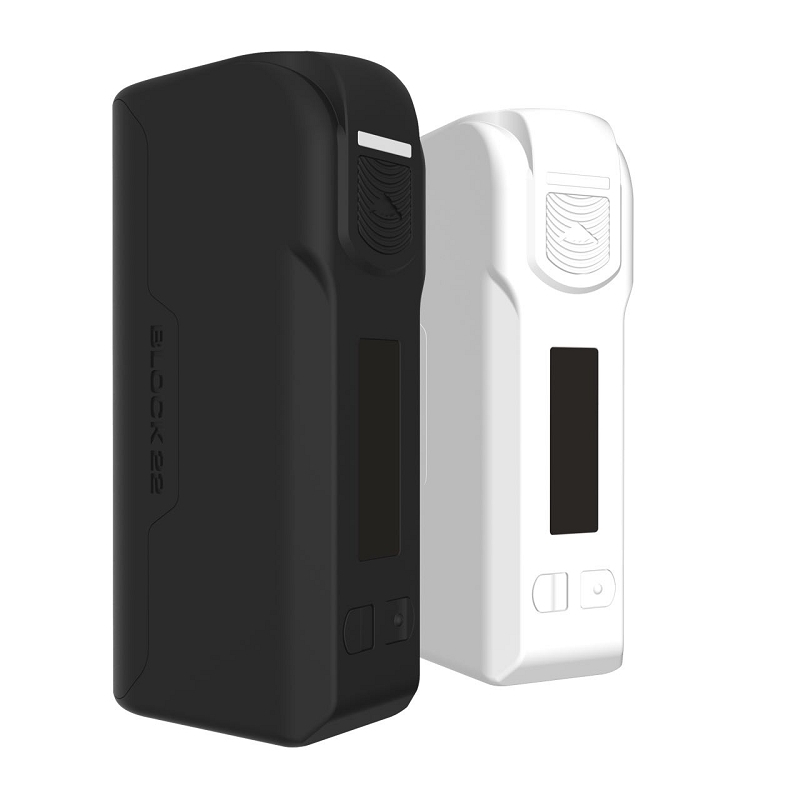 As a replaceable single 18650 mod, it’s kinda in a class by itself. If you want a small plastic (durable material used in firearms) mod that’s simple to use, I would recommend this; it may feel a bit cheap but it’s not.